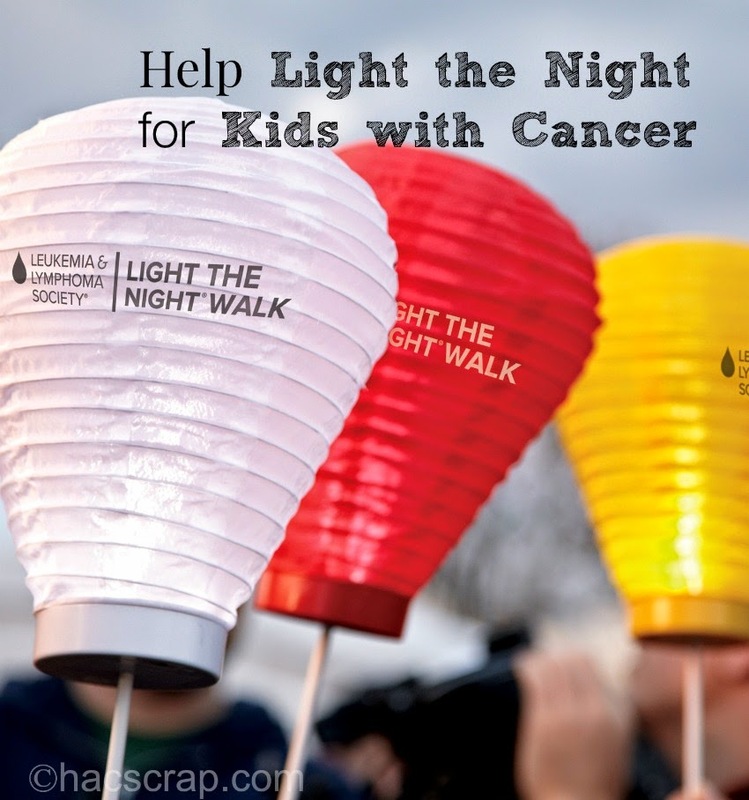 This fall, you can walk to end cancer by joining the Lukemia and Lymphoma Society's (LLS) Light the Night Walk fundraising campaign. This campaign brings together families and communities alike to honor blood cancer survivors, as well as those lost to the diseases. By spreading the word about the campaign, and participating, we can help to shine a light on finding cures and providing access to treatments for blood cancer patients. Did you know that Lukemia is the most common cancer in children and adolescents less than 20 years old? I had a friend in high school affected by the disease. At the time, I didn't really know much about it, and it was very scary. I am happy to report he's a survivor. My oldest son currently has a friend from school that is battling this disease (along with his family) as I type. I read regular reports of what they are going through, and I admire their bravery so much. While extraordinary progress has been made in treatments for blood cancer, the journey back to a healthy life can be a long one! As if just fighting Lukemia isn't enough, these kids may have additional challenges to deal with, like returning to school, maintaining friendships and keeping up with their homework. This year, Sylvan Learning is partnering with LLS through the Light the Night with a commitment to raise $250,000 and to donate more than 12,000 hours of free tutoring service in communities nationwide to help young blood cancer patients and their families transition back to school. You (and your family) can join a walk in your neighborhood! There are more than 200 across the country. It's easy to walk by registering and joining a team. In Philadelphia, the walk is on November 9 at the Philadelphia Art Museum. Do you know a family batting blood cancer?